The trustees are pleased to announce that Dee Christie has been appointed as Chair of the Elizabeth Casson Trust starting in July 2019. After five years as our present Chair, Professor Annie Turner will be stepping in to a much-deserved retirement. Annie has steered the Trust through our 2015-2020 strategic intentions including development of our leadership programme, our conference awards specific to occupational therapy conferences and of course our CPD grants that totalled £75,000 last year, and more new initiatives will be launched later this year. Thank you, Annie, for a great job well done. Dee Christie will be taking the reins of the Trust in July. Dee qualified in 1974 from Dorset House, co-incidentally the school started by Elizabeth Casson, and has had a long career in the NHS and local government. 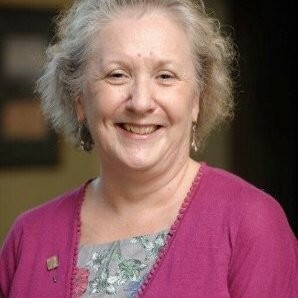 She has also given much back to the profession having been Chair of Council (2006-2009), a member of the Royal College of Occupational Therapists National Conference Planning Committee (2014 – 2019) and Dee has also been a Fellow of the National Institute of Health and Care Excellence (NICE, 2016-2019). With such experience and passion for the profession, Dee will be a great asset to the Trust and we look forward to her leadership, the directions we will travel and the impact we will endeavour to have.